The female stars may have overreached with lawsuit. The road to social justice is often marred by unanticipated pitfalls. Two weeks ago, 28 members of the world champion U.S. women’s national soccer team filed a high-profile lawsuit alleging they were the victims of discrimination by the U.S. Soccer Federation, the common employer of both the women’s and men’s national teams. The lawsuit does not pull its punches. It alleges that for years female athletes have been subject to “institutionalized gender discrimination” that has crimped their economic opportunities, hurt their training regimen and compromised their medical attention. In sum, they object to being relegated to second-class status behind the men’s national team, which has had consistently fared less well on the international circuit. Needless to say, this lawsuit has received a favorable public press. What, then might these realities be? The simplest explanation is that the fan base for men’s soccer in the United States and abroad is far greater for that of the women’s game. In response, the women often claim their game has been “undermarketed,” which raises one obstacle to pay parity. In their view, weak marketing efforts have created a vicious circle. Low marketing leads to low salaries, which then leads to low marketing. But analytically, the point is suspect. There is an entire legion of venture capitalists who use the infusion of outside capital to raise public awareness. But the catch is this: They will make those efforts only if they think they will pay off. And for female professional sports generally, the outsized gains are not there. The explanation is simple. Male athletes dominate key team sports, including soccer. Members of the fan base, both male and female, know that in any head-to-head competition between men and women, the women would come in a distant second. That result may not hold for certain individual sports, such as gymnastics and figure skating, where women have distinct advantages over men that are fairly reflected in their relative popularity. These fundamental asymmetries influence the relative size of the two pots. There are two World Cups, and the women’s version generates less interest and revenue than the men’s. The size of bonuses for participating teams tells the story. The men’s pool has $400 million divided among the 32 participating teams, or $12.5 million per team. The women’s pool is $30 million divided among 24 teams, or $1.25 million per team. The 10-to-1 ratio means that the current disparities in pay are smaller than the World Cup bonus, which in turn influences the investment levels in men’s and women’s teams. The superior performance of the women’s team should narrow that ratio somewhat, but not necessarily lead to parity. The women also complain they play more matches per year than the men. Thus, the women allege that “from 2015 through 2018, the WNT (women’s national team) played nineteen more games than the MNT (men’s national team) played over that same period of time.” But again, it is hard to know which way to interpret this given that it supplies extra income for women athletes. The best explanation is in terms of opportunity costs. The men play for their own teams in longer seasons and for higher salaries, so they must give up more than the women to participate on the national team activities. Hence, the differential is necessary in order to increase the number of games the men are prepared to play. Similarly, it is not clear which way it cuts to say that the women’s team has outperformed the men in international competition. It has been widely recognized that, whatever the shortfalls in salary, the federation has been a leader in advancing women’s sports. In addition, prior to the lawsuit, the federation adjusted payments for travel and eliminated games on artificial surfaces, which pose higher injury risks. An investment banker looking at this numbers might well come to the exact opposite conclusion than did the women athletes: better to widen the wage gap in order to get more success in the men’s game. Meeting the competition is in tension with the ideal of gender parity, but the issue goes to the heart of the women’s case against the federation. The purpose of an anti-discrimination law in economic terms is to eliminate cross-subsidies between two activities. There is discrimination if like cases are treated differently. But there is also discrimination if different cases are treated alike. If Group A puts 100 into the pot and Group B puts in 200 and the combined pot grows to 600, economic discrimination occurs if Group A and Group B both get 300. Legal theories sometimes insist there is discrimination against Group A unless it gets 50 percent of the total. This lawsuit does not take such complications into account. But it does suggest an intriguing thought experiment. Right now, the men and women each have a separate union collective bargaining agreement with the federation. Imagine that we had two separate employers instead of the federation, one for women and one for men. That separation gives women autonomy, but it also eliminates the possibility of any cross subsidy. My guess is that the women would oppose the separation because it would kill the cross subsidy. The lawsuit, therefore, should fail because pay parity increases gender discrimination, it doesn’t end it. Which is not to say that the U.S. Soccer Federation ought to stick to the current arrangements. 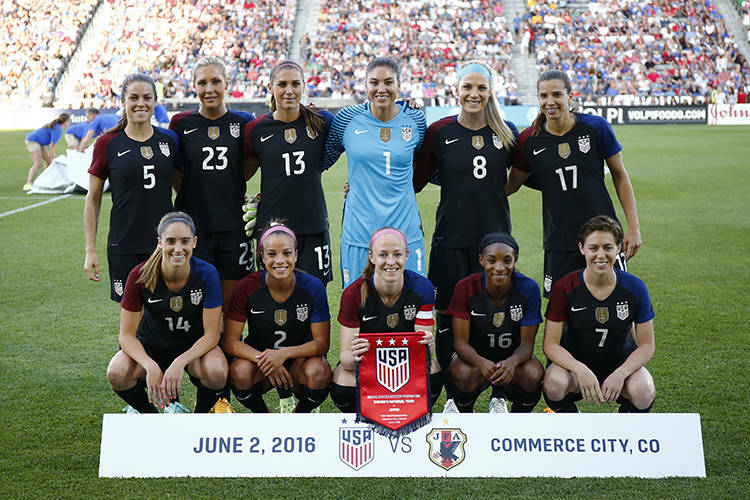 The upgrades made for women soccer players could be the first installment on future changes. But recall that the test of value is not the amount of labor each athlete puts into his or her team. Rather it is the amount of revenue that this labor can attract. By that measure, any claim for gender equity in wages should fail.